Welcome to Education Explosion! 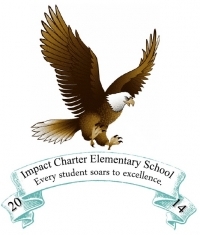 The chartering organization of Impact Charter Elementary School. We are your child’s source for a rewarding educational experience and academic growth. Education Explosion's mission is to provide academic enrichment, leadership and development of social skills through teaching and mentoring. We strive to motivate children to reach for greater achievement and improve academically. Our strategic plan encompasses using qualified teachers, research‐based curricula and instructional methods that facilitate personal growth and academic excellence. All children can learn if they are first met where they are in their stage of learning, and then taught with their particular learning style in mind. It is essential that we provide students with knowledge and exposure that will empower them to grow and develop into productive citizens in this global and technological age. Students must leave educational institutions with math, reading, and life skills that have developed them holistically, equipped with the confidence and ability to attain success in their desired career path and make a notable impact on their society.